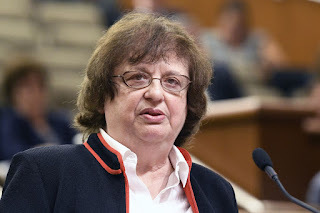 NEW YORK, N.Y. -- New York Attorney General Barbara D. Underwood released the following statement, following today’s opinion from the U.S. Court of Appeals for the Second Circuit that affirms the court order secured by the Attorney General’s office earlier this year. That order blocked the Trump administration’s delay of the fuel efficiency standards penalty rule. “Today’s opinion is a strong rebuke of the Trump administration’s efforts to flout our environmental laws, marking another key win in our fight to protect New Yorkers’ health and environment. “This rule is common sense, incentivizing automakers to comply with critical fuel efficiency standards that protect consumers’ wallets while reducing carbon emissions and toxic pollutants. In September 2017, the New York and California Attorneys General led a coalition of five Attorneys General (New York, California, Vermont, Maryland, and Pennsylvania) that filed suit to block the Trump administration’s delay of the penalty rule. The rule updates penalties assessed to automakers for noncompliance with federal fuel efficiency standards, encouraging automakers to achieve CAFE Standards – which would reduce carbon emissions by 1.8 billion metric tons and save each consumer $1,650.